Drunk driving has claimed thousands of lives and resulted in countless injuries. If you choose to drink alcohol, it’s your responsibility to keep yourself and others safe from harm by choosing not to get behind the wheel. However, mistakes do happen and if you’re pulled over on suspicion of drunk driving, you do still have legal rights. One of those rights is the ability to arrange for legal representation from a DUI attorney . A DUI attorney in Baltimore can help you understand the charges against you and explain your legal options. Like many states, Maryland has different classifications of drunk driving. Driving while impaired (DWI) is the least severe compared to driving while under the influence (DUI). A Maryland driver can be charged with DWI for having a blood alcohol concentration (BAC) of 0.04 up to 0.08 percent. Sometimes, drivers who are charged with DWI have been involved in incidents that resulted in property damage or bodily injury. Although DWI charges are less serious than DUI charges, defendants still need the help of an attorney at law. A conviction of DUI can result in jail time up to 60 days, fines of up to $500, eight points on the driver’s license, and suspension of the license. A person who is alleged to have a BAC of 0.08 percent or higher may be charged with DUI. 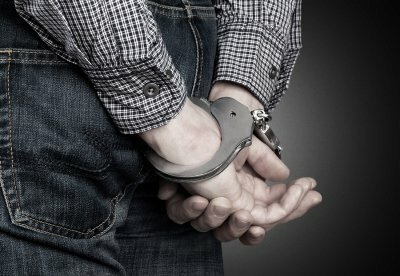 As your DUI lawyer can inform you, a first conviction of DUI can lead to up to one year behind bars, fines of up to $1,000, and a six-month license suspension. For a second conviction of drunk driving , Maryland residents may face up to two years behind bars, $2,000 in fines, and a one-year license suspension. A third conviction can result in three years in prison, $3,000 in fines, and a minimum license suspension of 18 months. Maryland law does not have a statutory provision for a “wet reckless” charge. However, it is possible that your DUI attorney can negotiate with the prosecutor to have your DWI charges reduced to this. In exchange for pleading guilty, a wet reckless plea bargain may allow you to receive reduced penalties. Filing a workers’ compensation claim can be as stressful as the injury itself. Although some claims are straightforward, it is always helpful to have a workers’ compensation lawyer at your side to ensure your rights are being protected. When you file a claim, the first step is getting documentation of your injury from a doctor. Only a medical professional can determine if your injury will prevent you from working. Although most employers in Maryland are required to have workers’ comp insurance, your boss may decide to dispute your claim. If this occurs, you will need a workers’ compensation attorney to fight on your behalf. Find out more about workers’ compensation cases in this infographic from Jack Schmerling, Attorney at Law . Our workers’ compensation attorney near Baltimore will help you win the compensation you deserve. Please help other workers understand the importance of hiring a workers’ compensation attorney when they are injured on the job by sharing this information. Individuals who have sustained injuries as a result of their employment may file a temporary or permanent disability claim in Baltimore. If you think you could be entitled to receive benefits, it’s in your best interests to contact a workers’ compensation attorney. A workers’ compensation attorney can advise you of your legal rights and evaluate your eligibility for a temporary or permanent disability claim. If you are found to be temporarily and partially disabled, it means that you may still perform limited work duties while you recover and that you are expected to return to your full capacity upon recovery. Generally, you can expect to receive 50 percent of the difference between your normal wages and your current wages while disabled. As your workers’ comp attorney can explain to you, your medical expenses arising directly from the on-the-job incident are fully covered. 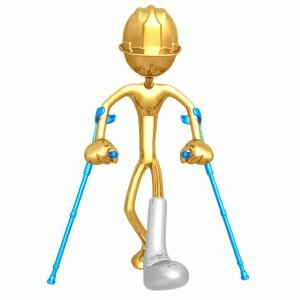 Temporary total disability applies to individuals who are not able to work at all on a temporary basis. If your healing period is 14 days or less, then you cannot expect to receive a portion of your wages for the first three days of your recovery. Your medical expenses are still fully covered. Your temporary total disability benefits may be terminated if a medical professional is of the opinion that you have reached a maximum level of recovery, even if that level is not the same as your pre-injury capacity. If you are determined to be permanently partially disabled, you may receive payments of no less than $50 per week, provided your average weekly wages were not previously less than $50. The length of time you can receive these payments will vary, depending on your injury. For instance, you will receive payments for 100 weeks if your thumb was amputated or you lost all function in a thumb. Permanent total disabilities include the loss or the loss of use of at least two of the following: eyes, feet, legs, hands, or arms. For example, you may have lost both legs or you may have lost one leg and one arm. Payments for these disabilities equal two-thirds of the previous average weekly wage, subject to minimum and maximum limits. 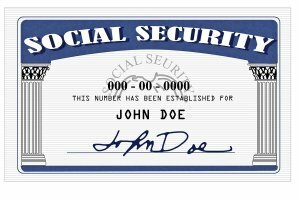 Qualifying for Social Security disability benefits is notoriously challenging. Many individuals are denied benefits the first time they apply, especially if they do so without the help of an attorney at law in Baltimore. To improve your chances of receiving disability payments, contact a personal injury attorney. The attorney at law will determine whether your health condition may qualify. For the purpose of receiving disability benefits, disabling health conditions are defined as those that prohibit you from performing previous work and from adjusting to new types of work. Additionally, the condition must be expected to either result in death or last at least one year. Your personal injury attorney may determine that you could have a qualifying condition if you are blind or have low division, are a cancer patient, have suffered an amputation, or have lost the use of a major body part. You could also qualify if you are a wounded warrior, a widow or widower, or if you have a disabled child. Talk to your accident lawyer to find out if you could be eligible to receive disability payments.